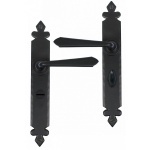 The cromwell lever handles was inspired by our Tudor collection but with a sleek straight lever giving the them a more contemporary edge. 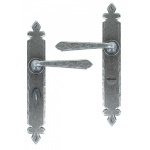 This is one of our most decorative lever handles. 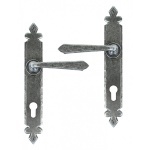 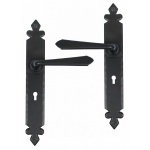 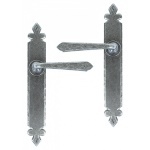 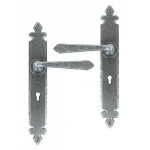 These elegant handles have a Fleur de lys motif to the backplate and are individually forge on an anvil, enhanced with every hammer blow.